This is an “About us” page. And we want to take this space to really let you know about us as a local family owned business, your source for office products and business solutions. In today’s disconnected tech world, conducting business is typically distant and anonymous. At Glennie’s, you are so much more than a number in the computer. Like “Cheers” we like to think of Glennie’s as the place where “Everybody knows your name.” We are your neighbors and friends, and we strive to make a difference in the quality of life in our community. You are not just a customer but the people we see every day as we work, shop and play, in the stores, in the parks, at our schools, at the restaurants and entertainment venues, participating in community service and charitable organizations. Together we are a community. Our ownership and employee families live throughout the North San Diego and Southwest Riverside counties. From time to time, we will be highlighting events on this page about some of our favorite places. If you have one to suggest, let us know about it by email and definitely share a picture. You can also join our Facebook community by clicking the icon at the top of the home page. Glennie’s Office Products serves the San Diego and Riverside counties from our locations in Escondido and Temecula. Both locations have retail stores, furniture showrooms and customer care and distribution teams to serve you. You may be thinking that we are primarily a provider of paper clips and pencils. But we are so much more….. We strive to meet all your business needs including office furniture and systems, technology products and accessories, toners and inks, break room supplies including drinks and snacks, janitorial supplies, and let’s not forget the rubber stamps, imprinted forms and promotional products. So Much More! If you have read this far, you really have an interest in what is different about Glennie’s. I would invite you to call us. 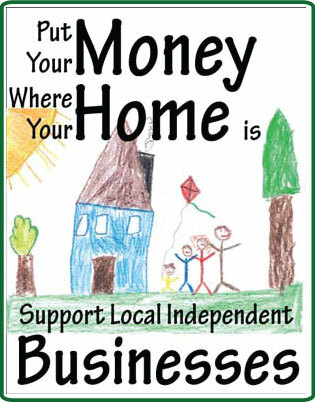 We would love to talk to you about how we can truly give you great local service without sacrificing your bottom line.